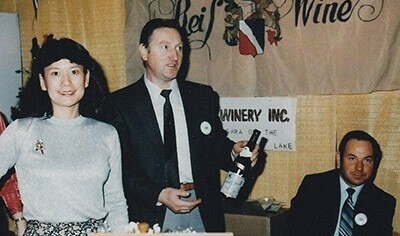 One of Niagara-on-the-Lake's founding family wineries, founded in 1982 by Ewald Reif and later acquired by nephew Klaus W. Reif. 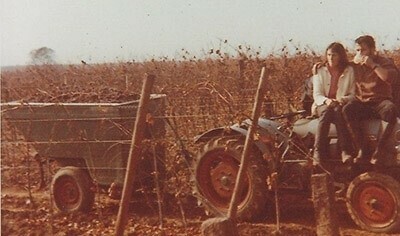 Today, Reif produces wines from its vineyard first planted in 1977. 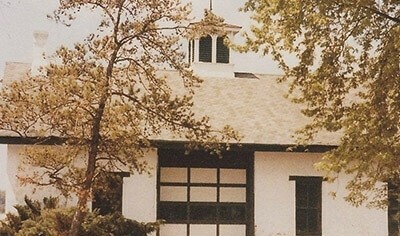 Our 125 acre farm is located in the Niagara River sub-appellation where sun-loving grape varieties grow best. 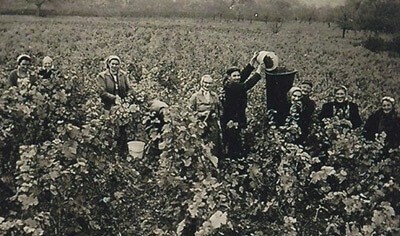 The easterly facing slopes and long growing season are moderated by the river as air currents ward off early spring and late fall frosts. 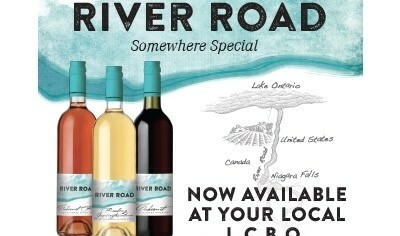 Our vineyard is located in Ontario's warmest sub-appellation, ideal for the production of rich full-bodied wines. 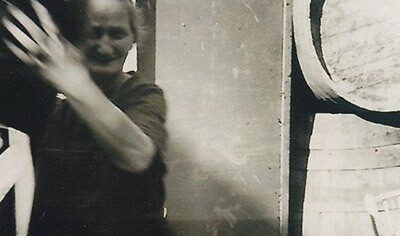 But time matters too. 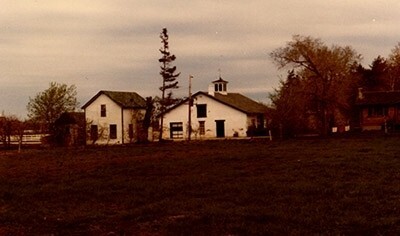 Our farm is also home to some of the oldest vinifera plantings in Canada, a benefit to growers in cooler climates like Ontario, as mature vines ripen earlier. They also produce wines that reflect the 'terroir', so when you taste our wines you will taste the essence of our vineyard. 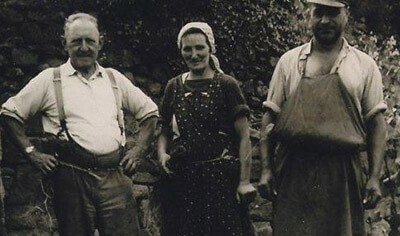 Willy and Lina Reif pictured on the right with a neighbour. 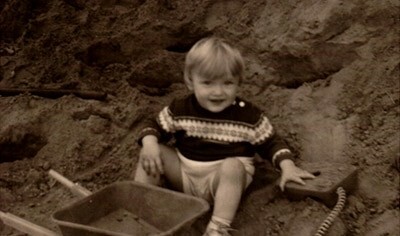 Klaus is born in Lachen-Speyerdorf, Rhineland-Palatinate, Germany. 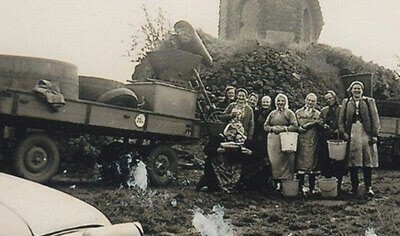 Klaus' grandmother pictured on the farm pictured in the centre. 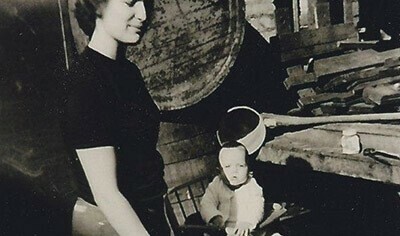 Ruth Reif (Aunt to Klaus Reif, Sister to Ewald Reif) in the cellar with neighbour Angelika. 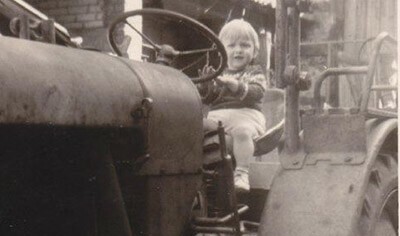 Klaus at age three on the family tractor. 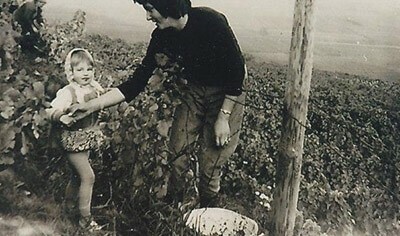 Klaus' mother and sister in the family vineyard. 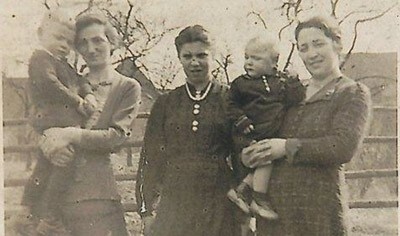 Klaus's mother with Juergen, cousin to Klaus. 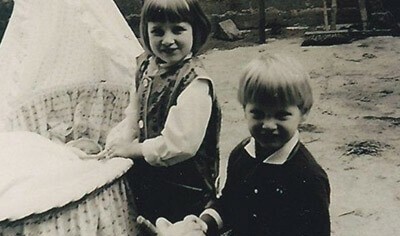 Klaus with his cousin Marion. 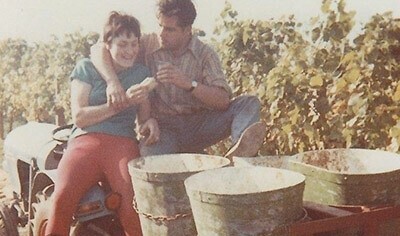 Ruth Reif (Aunt to Klaus Reif, Sister to Ewald Reif) on the farm with husband Karl. 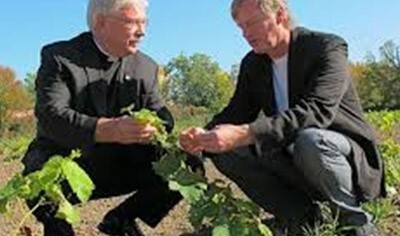 Ewald Reif arrives in Canada and purchases Riverscourt Farm and plants vinifera vines. 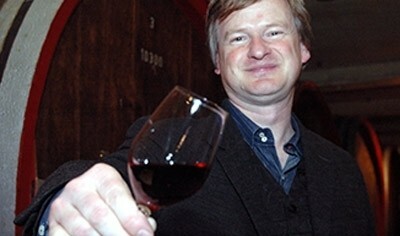 Ewald grows grapes for new Ontario winery, Inniskillin. 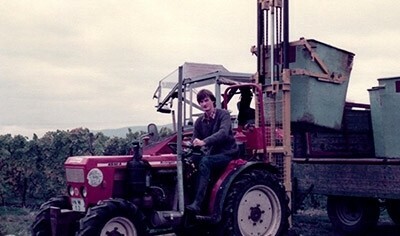 Klaus readies himself for winemaking school in Germany. The 1870's Coach House of the Riverscourt Estate is refurbished. 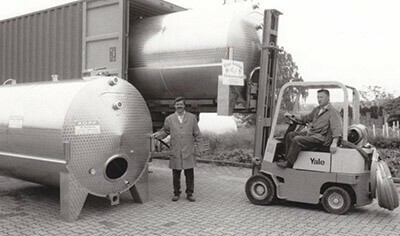 Gunther Reif ships new tanks to Canada. 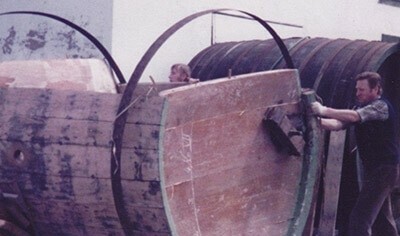 Gunther Reif re-assembles German Barrels shipped from Germany. 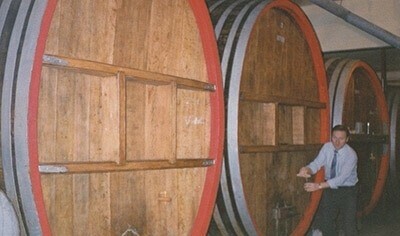 Ewald Reif inspecting German Barrel Cellar. 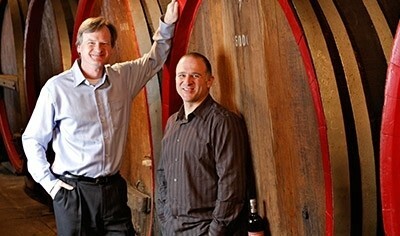 New winery opens in partnership. 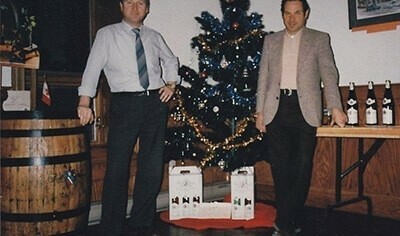 Klaus' father, brother of Ewald Reif pictured in new winery offices. 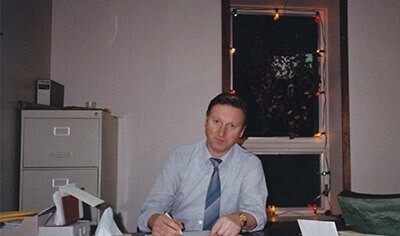 Ewald Reif pictured in new winery offices. 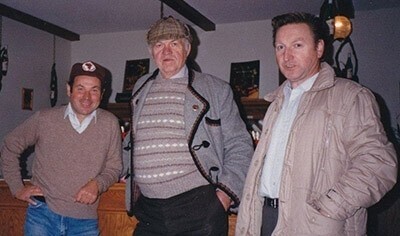 Founding brothers with previous farm owner, John Boese. 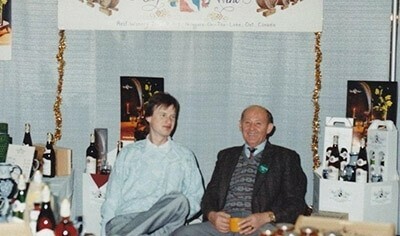 Cynthis Reif, Gunther Reif and Ewald Reif (L-R). Klaus visits his Uncle and falls in love with Canada. 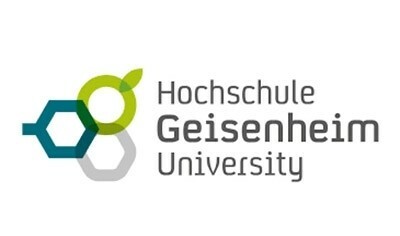 Klaus gradutes with winemaking degree from top German institute. 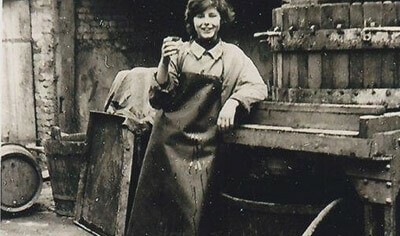 Tasting wine in the German Barrel Cellar. 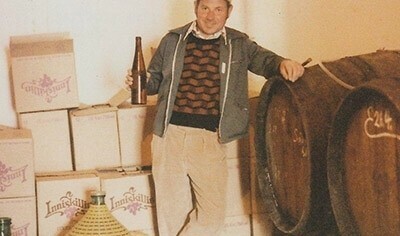 Klaus takes over the winery reigns for his father Gunther. 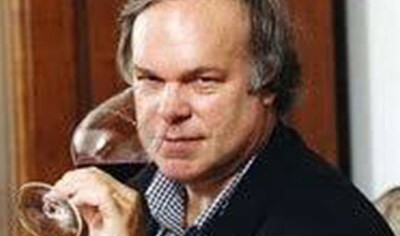 Accolades from Robert Parker Jr.
Vidal Icewine hits top ten wine list of the year. 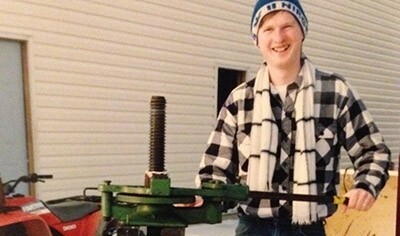 After graduating from University of Guelph Roberto joins the team. 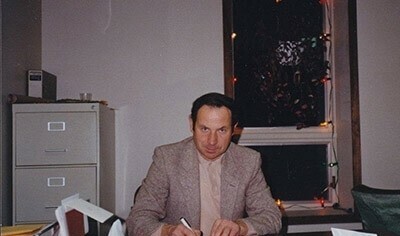 Klaus Reif and Daniel Gehres. New Production Facility and Underground Barrel Cellar are constructed. 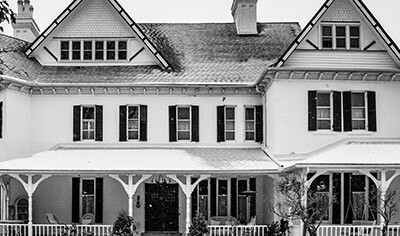 Grand Victorian Mansion from the original Riverscourt Estate becomes home to winery weddings. 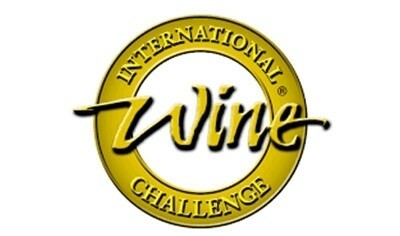 Roberto's 1995 Meritage wins gold at International Wine and Spirit Competition. 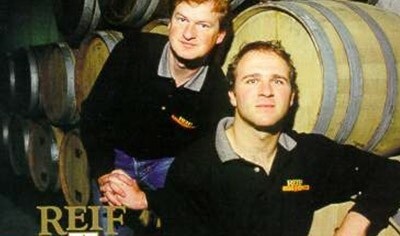 1998 Vidal Icewine granted coveted and presigious award. Klaus travels to England to accept coveted awards at Wine and Spirit International Competition. 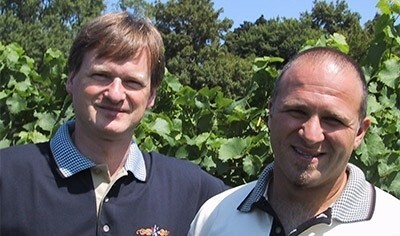 Roberto's 2002 Meritage is recognized by his peers. 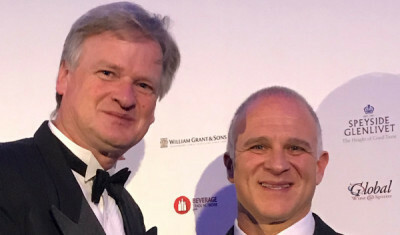 2001 First Growth Cabernet Sauvignon takes top honours in its category. 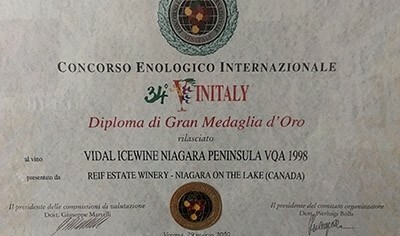 2002 Vidal Icewine wins coveted trophy. 2002 Vidal Icewine steals the show. 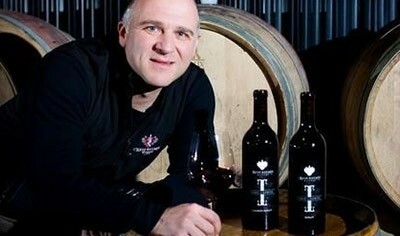 2004 Vidal Icewine and 2002 First Growth Cabernet Merlot bring it home for winemaker Roberto. 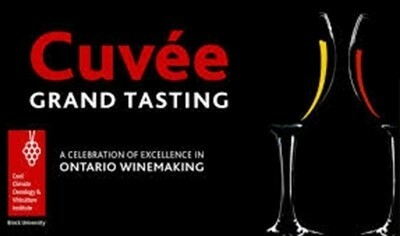 Celebration of 25 years of winemaking and 30 years of grape growing. 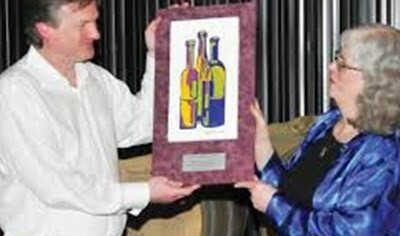 2005 Vidal Icewine secures a home for trophy at Reif for another year. 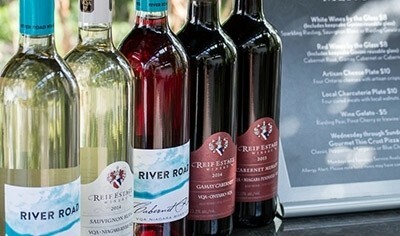 88 for the Reif Estate First Growth Cabernet Merlot and a score of 87 for Reif Estate First Growth Cabernet Sauvignon. 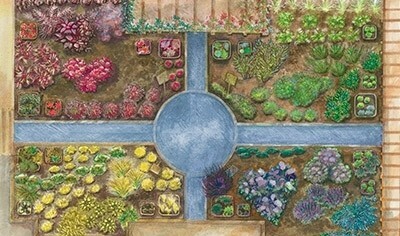 A new home for visitors with chic Sensory Wine Bar. 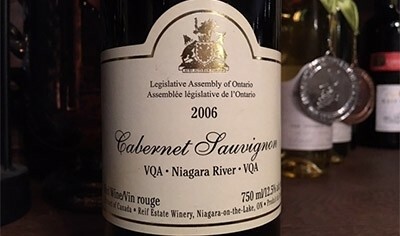 2006 Cabernet Sauvignon Reserve has a home in Legislature for the year. 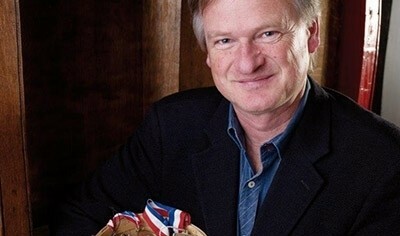 The Ontario Wine Society recognizes Klaus' contributions to our industry. Custom Stone Wine Barrel built by Master Artisan Stone Masons. Klasu is recognized at the Niagara Entrepreneaur Awards Ceremony. 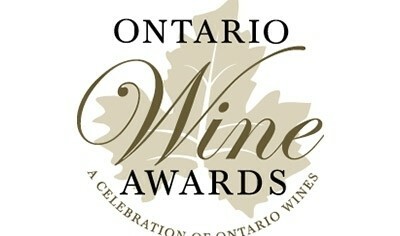 2012 Vidal Icewine upholds a tradition of awards of excellence. 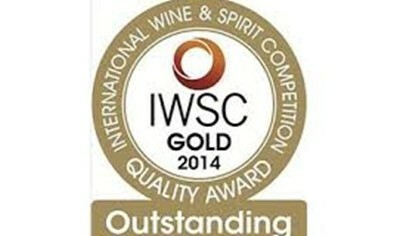 2012 Vidal Icewine is recognized again at prestigious International Competition. 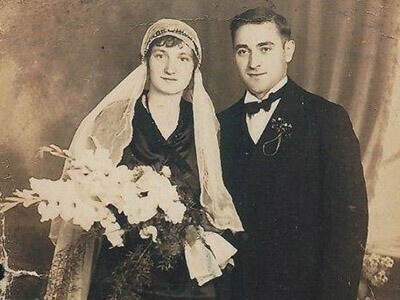 A new parternship is forged with the Carmelites. 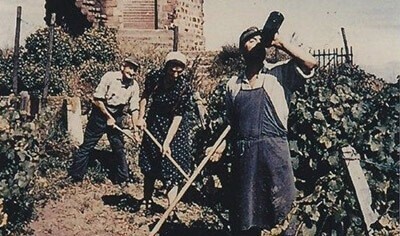 New wine collection celebrates the bounty of our regional appellation. 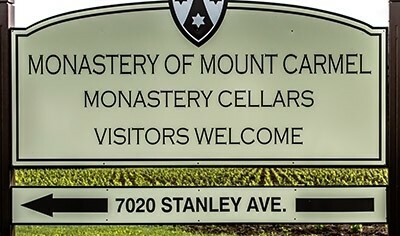 Visitors are invited to spend a bit more time enjoying food and wine. 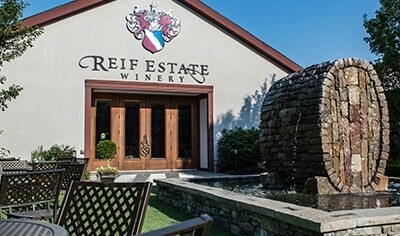 The unique partnership of Reif Estate Winery and Grand Victorian Mansion is recognized by community peers. 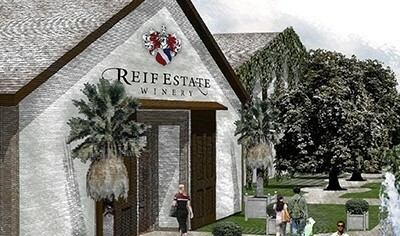 New Winery location will be the first of its kind only steps away from majestic Niagara Falls. 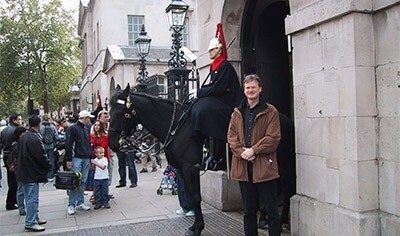 Klaus and Roberto travel to London, England to receive covetted awards for a second time. 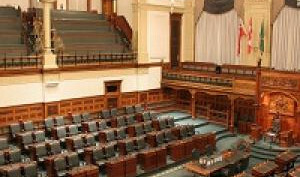 2016 Pinot Grigio has been selected as the official VQA white wine of 2018 for the Legislative Assembly of Ontario.